The Fraunhofer Portugal Research Center for Assistive Information and Communication Solutions (Fraunhofer Portugal AICOS - FhP) was created with the purpose of enhancing people’s living standards by offering them intuitive and useful technology solutions, capable of facilitating their access to ICT, while contributing to the market success of its client’s products and services. Located in Porto, Fraunhofer Portugal AICOS started its activities in May 2008 as a joint project between the Fraunhofer-Gesellschaft and the University of Porto. Fraunhofer Portugal AICOS focuses its activities in the areas of Ambient Assisted Living and ICT4D, working with companies interested in outsourcing/co-developing their applied research projects by offering them specialized competences centred on the improvement of end-user experience and usability of applications. Within these broadly defined Activity Areas, Fraunhofer Portugal AICOS has been giving priority to the following Scientific Areas: Human-Computer Interaction, Information Processing and Autonomic Computing. IBV is a Spanish RTO founded in 1976, working under the figure of a non-profit association and jointly sponsored by the Valencian Institute of Business Competitiveness (IVACE) and the Universitat Politècnica de València (UPV). IBV is a cross sectorial technological center that studies the behavior of the human body and its interaction with products, environments and services. With the aim to improve competitiveness among the business sector, IBV promotes people’s well-being through the combination of knowledge in areas such as biomechanics, ergonomics and emotional engineering, and its application to diverse sectors. IBV counts with over 150 professionals from different academic backgrounds (Social Sciences, Occupational Health, Consumer Behavior, Biology, Medicine, Social Inclusion, Transport, Built environments, Design, Engineering, Economics and Competitive Intelligence) working together in an interdisciplinary approach. The User Centered Design area of IBV focuses on integrating the user throughout the design process as an indispensable source of information. This activity is aimed particularly at those products and services in which the functional and the emotional components are critical, and where the know-how of IBV as a technology center provides added value: health products, clothing, working environment, products for sports and leisure, etc. This activity is structured in different phases like detecting the needs of the future consumer or end user, assessment on the design of products and services from a functional point of view, validation of prototypes/concepts, and innovation tests for new design solutions, usability testing, or applying emotional engineering in product development. 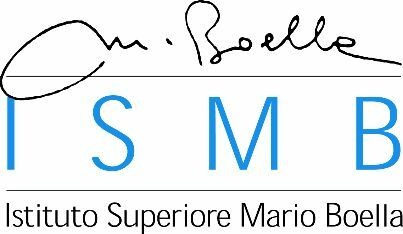 Istituto Superiore Mario Boella (ISMB) is an Italian research & innovation centre operating in the Information and Communication Technologies (ICT) domain. Founded in 2000 by Compagnia di San Paolo and Politecnico di Torino, today ISMB relies on the technological and process competences of around 150 researchers working in close cooperation with companies, academia and Public Administration. ISMB operates according to the knowledge management model: this means it plays an active role not only in devising innovative solutions, but also in their implementation and consequent developments. ISMB is organized in several Research Areas focused on core sectors of ICT. Since 2010, ISMB has extended its activities to process innovation, orienting its focus on priority themes of the European agenda. Such an evolution aims at exploiting excellences and results obtained by Research Areas into Strategic Programs as Smart Health strategic program. Moreover, the Institute is involved in several industrial cooperation activities with both large enterprises and SMEs, as well as in various higher-education initiatives in partnership with academic institutions. The activities of the Strategic Research Program “Smart Health” are focused mainly on three big topics of research, where ISMB manages several European, National and Regional projects. In particular, concerning the Assistive technologies, ISMB is also involved in the EU-funded project KSERA (ICT-2009.7.1 – 248085) where it is WPs leader on the theme of Ubiquitous Monitoring system and in the integration of the entire system developed. Concerning the research topic Personal Health System, ISMB is involving in several regional projects (CLABS, PMOSP, ...) and in national project, DAHMS, funded by Ministry of Economic Development where it focused its activities in the development of a monitoring system based on wearable sensors and based a new low-power communication protocol. The close collaboration with the Italian National Health System has led the research in the field of Predictive Medicine to the submission of several European and National proposals under evaluation. Several pilots and field trial at regional, national and European level have been conducted in the e-health and tele-care domains: e.g., DREAM and Adamo assistive watch with the support of Regione Piemonte; Mydoctor@Home telemedicine platform trial with Telecom Italia and Molinette Hospital. Since 2008 ISMB has managed a living lab inside the oldest Hospital in Turin where the wireless ICT technologies and the process innovation in the health field are combined. It is the ideal environment for the development of initiatives for both the creation of new entrepreneurship in the region and stimulus of already established realities. The distinctive competences available at the labs involved in the partnership are especially relevant in the areas of Intelligent Data Management Techniques, Adaptive and Proactive Applications, wireless technologies and User Center Design methodologies. Johanniter Ausbildung und Forschung gem. GmbH was part of Johanniter-Unfall-Hilfe in Austria. JOAFG aims are to provide health related knowledge to the broad public (First Aid Lectures) and to provide training and education to medical professionals in care and emergency medical services. The Johanniter have a 900 year tradition in providing health services. In 1974 the Johanniter-Unfall-Hilfe in Österreich was established to provide professional emergency care and follow the principals of a Christian organization and care provider. In 2012 the Research Center was founded to help an old organization becoming fit for the future and, by this, helping to define our future according to the universal values of brotherly love, trust and empathy. Johanniter have expertise from service area as well as from research projects. Johanniter as partner to European AAL JP Projects like AHEAD and CIP Networks as e.g. ProFouND and are active in national funding projects for AAL, eHealth and mHealth. Also the expertise from an academic perspective is given as the personal of Johanniter Research and Innovation Centre is well established by communication science, psychology, philosophy, care science, jurisdiction and economics. And Johanniter have a high expertise in methodologies of empirical social science. Especially user involvement with ethical considerations and technological foresight is a specialty of Johanniter and are going to be a factor for this project. Furthermore Johanniter are setting up a European wide Testing Environment with standardized parameters to support project actions.